Isoropia, part of Denmark’s official submission to La Biennale di Venezia. 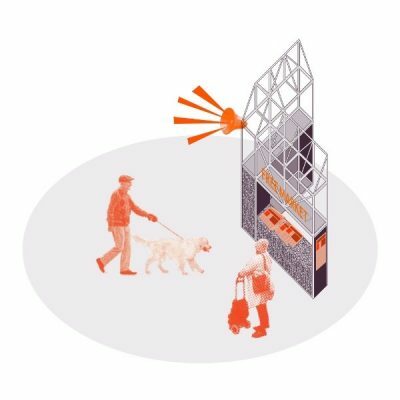 The Netherlands, 24 May 2018 – Knits with Dyneema® play a starring role in Denmark’s official 2018 submission to the 16th International Architecture Exhibition of La Biennale di Venezia – the largest architecture event in the world. 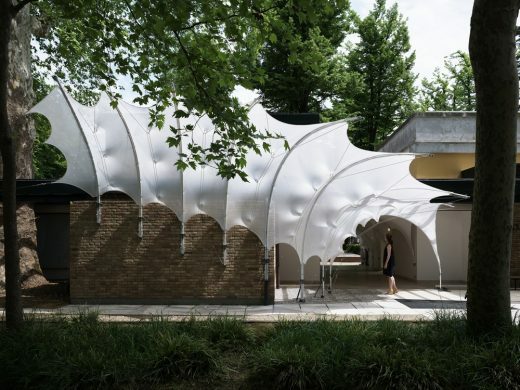 The project ‘Isoropia’ shows how ‘architextiles’ can create constructions that are both solid and expressive. 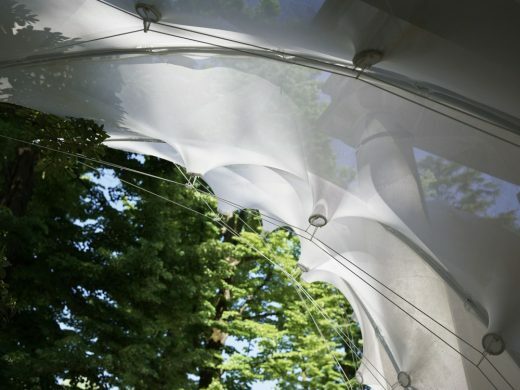 Already established as a basis material of choice for best-in-class lightweight tents and shelters, Dyneema® has now been adapted as a knit for large-scale architecture. 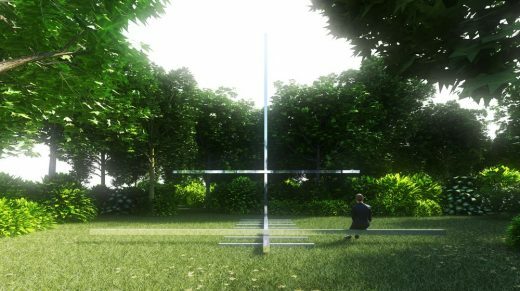 The fiber is part of Denmark’s official submission for the Venice Architecture Biennale 2018 that runs 26 May to 25 November 2018. 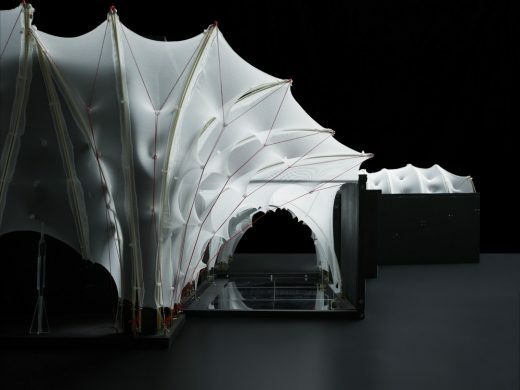 The pavilion’s theme is ‘Possible Spaces – Sustainable Development through Collaborative Innovations’. DSM, a global science-based company active in health, nutrition, and materials, including world’s strongest fiber™ Dyneema®, collaborated with the Centre for Information Technology and Architecture (CITA) at the Royal Danish Academy of Fine Arts (KADK) in Copenhagen for the monumental and wildly sculptural installation ‘Isoropia’ – a term meaning balance, equilibrium and stability. 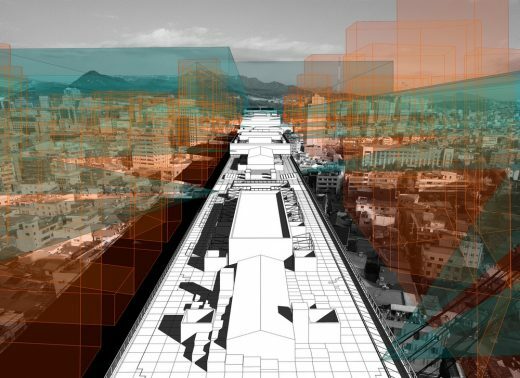 Isoropia shows the potential in developing new interdisciplinary design and construction methods. In this case, Dyneema® is 3D knitted into a textile skin that is given structure when counterbalanced with bending rods. 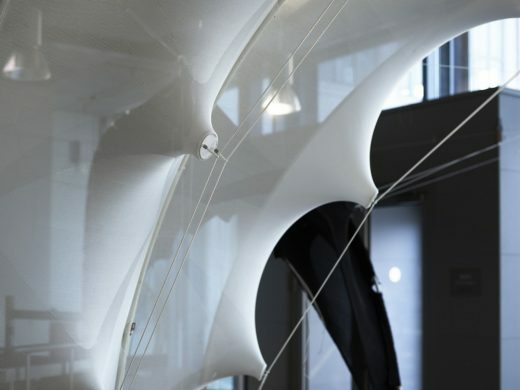 In short, Isoropia represents a wholly new shaping for lightweight, flexible and environmentally resistant structures. 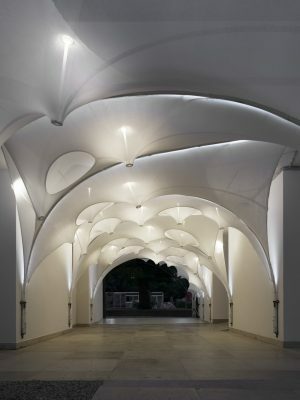 With its lightweight strength, Dyneema® is the obvious choice for the emerging ‘architextile’ field. With practically no stretch, the fiber can easily be consistently applied throughout all the manufacturing processes. However, with the resulting knits being soft, there’s more flexibility in applying more complex knit patterns that result in constructions that can change in expression and form — especially when compared to traditionally laminated membranes. Fifteen times stronger than steel, but floats on water, Dyneema® is world’s strongest, lightest fiber and has long been used to moor oil rigs, stop bullets and repair humans and it’s becoming increasingly popular with high-performance protective sports gear and apparel – from motorcycling to mountain climbing. 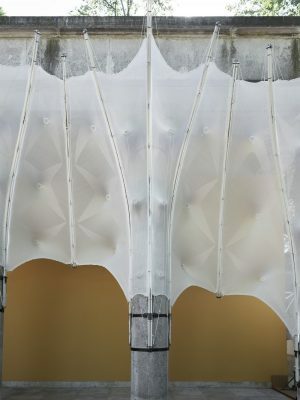 Until now, the use of Dyneema® in architecture has remained largely theoretical, with architects coming up with designs for its application for a flexible tsunami barrier or as the basis for a 3D printed Mars Ice House. 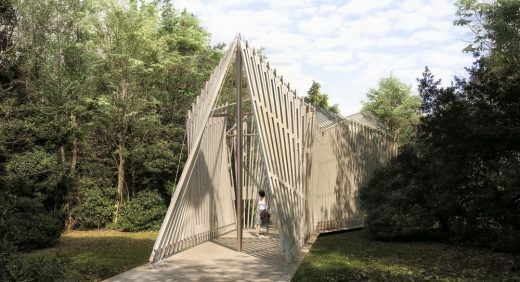 The Venice Architecture Biennale marks the first realized large-scale architectural project using Dyneema® fiber. Royal DSM is a global science-based company active in health, nutrition and materials. By connecting its unique competences in life sciences and materials sciences DSM is driving economic prosperity, environmental progress and social advances to create sustainable value for all stakeholders simultaneously. DSM delivers innovative solutions that nourish, protect and improve performance in global markets such as food and dietary supplements, personal care, feed, medical devices, automotive, paints, electrical and electronics, life protection, alternative energy and bio-based materials. DSM and its associated companies deliver annual net sales of about €10 billion with approximately 25,000 employees. The company is listed on Euronext Amsterdam. More information can be found at the website of DSM. Dyneema®, the world’s strongest fiber™ is DSM’s premium brand for Ultra High Molecular Weight PolyEthylene (UHMWPE) fiber, UD and fabric. Dyneema® combines maximum strength with minimum weight. It is 15 times stronger than quality steel and 40% stronger than aramid fiber, both on weight for weight basis. Industries like law enforcement, defense, maritime, offshore, medical, sports & leisure, fishing, outdoor, automotive, renewable energy, and personal protective equipment rely on Dyneema® for its lightweight, protective and durable properties. Innovative applications with Dyneema® fibers and form factors are continuously evolving and expanding. Dyneema®, the world’s strongest fiber™ are trademarks of DSM. Use of these trademarks is prohibited unless strictly authorized.